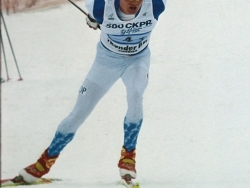 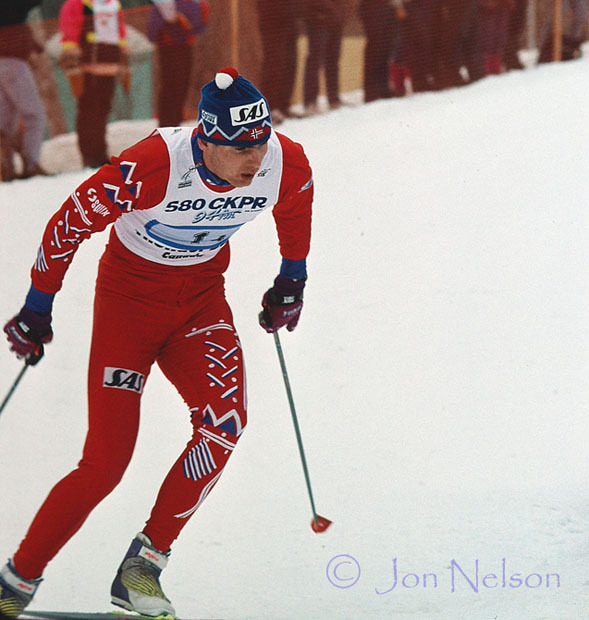 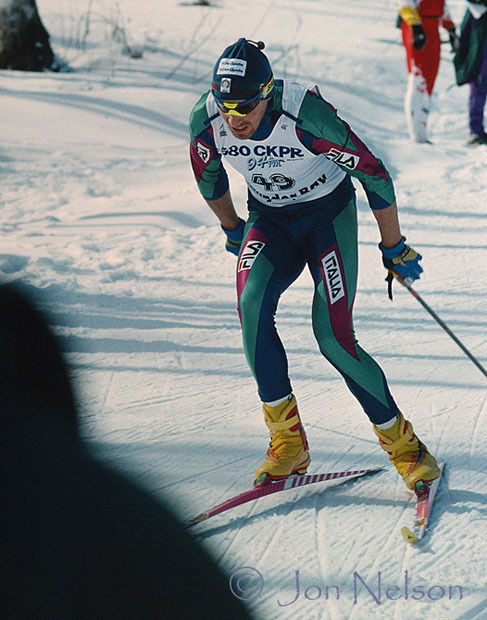 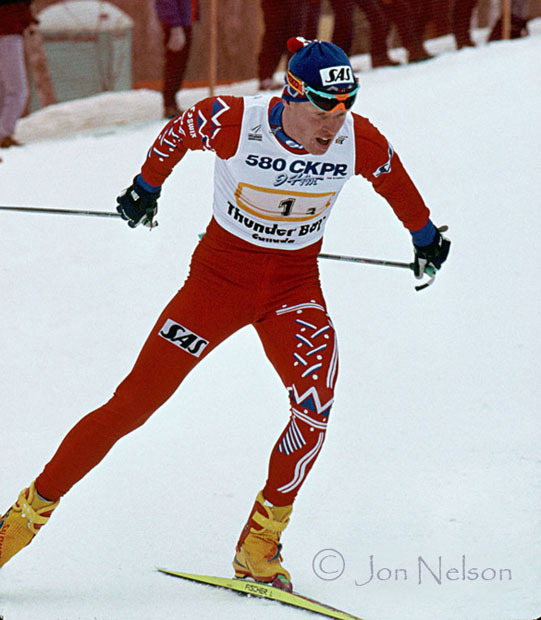 Norway's Vegard Ulvang, now the Chairman of the FIS Cross-Country Committee, had won three Olympic Gold medals when he raced at Big Thunder in 1994. 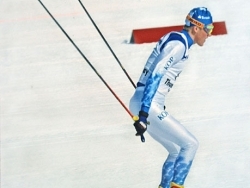 A Finnish skier approaches the end of his leg in the relay. 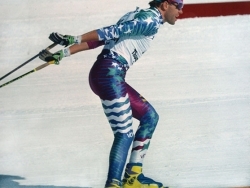 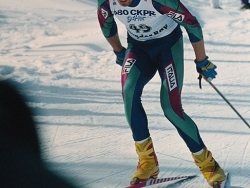 Italy's Gaudenzio Godioz had a seventh place in the 50 km skate race at the 1994 World Cup. 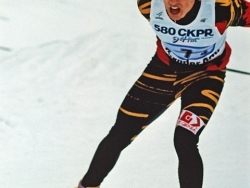 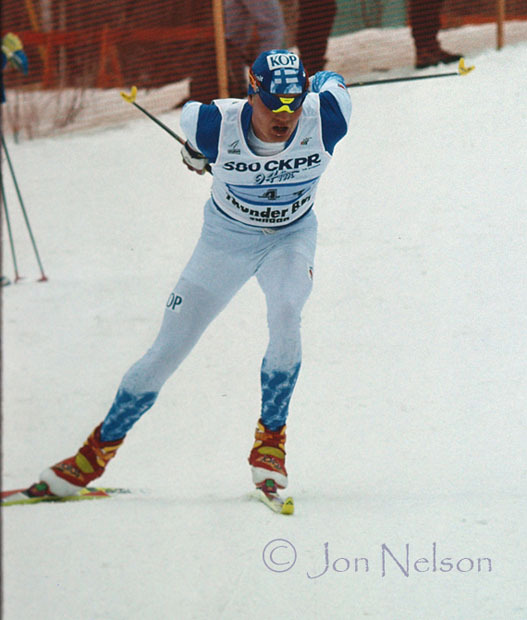 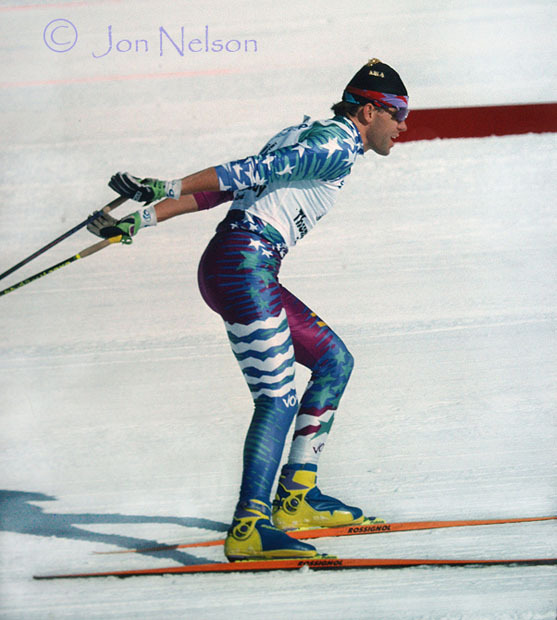 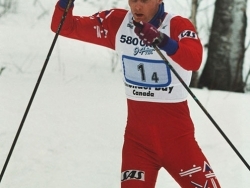 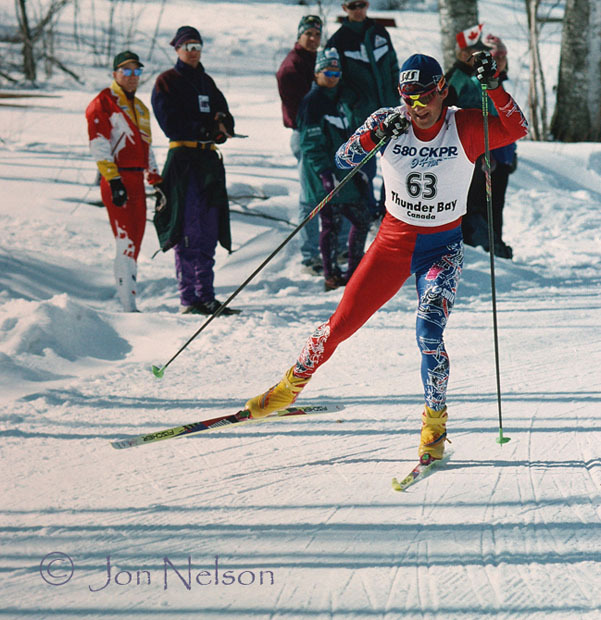 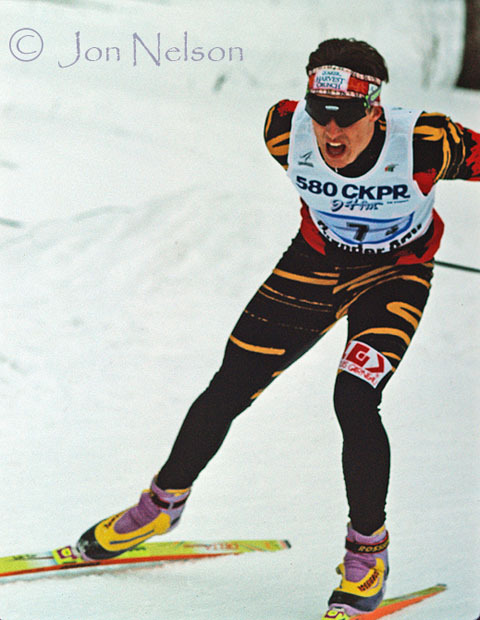 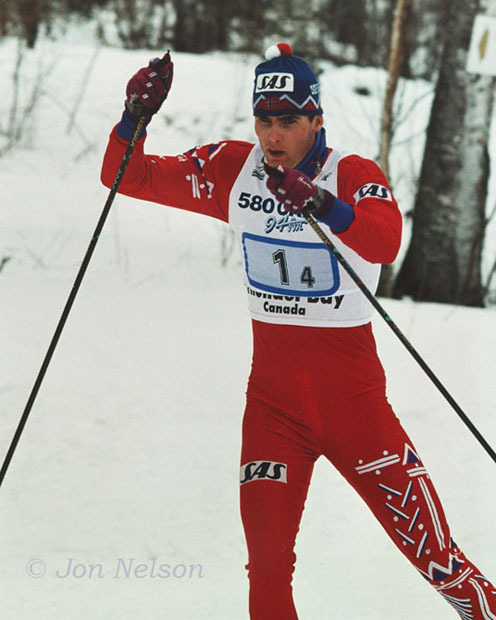 Justin Wadsworth, now the Head Coach for the Canadian cross country team, skied for the United States in 1994. 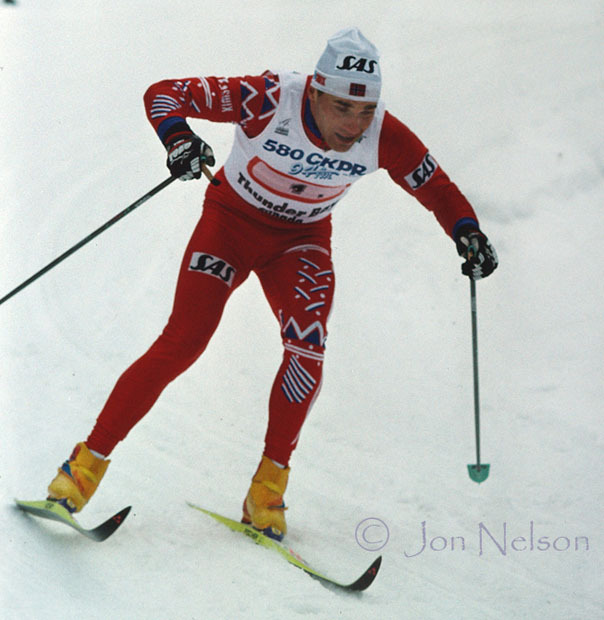 Thomas Alsgaard racing the anchor leg for Norway in the relay..
Thomas Alsgaard rounds a corner in the 50 km skate race at Big Thunder. 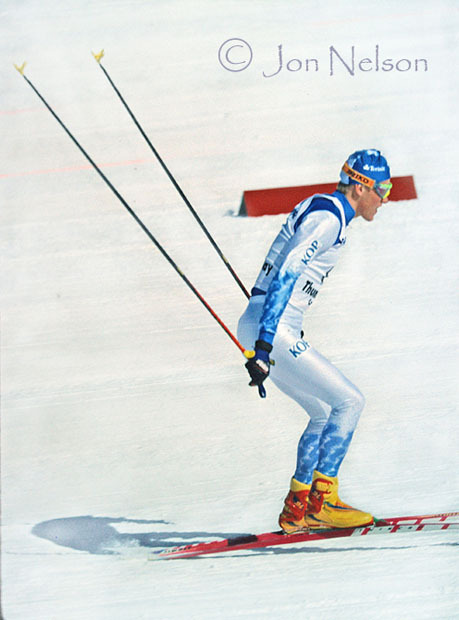 An unidentified skier skies towards the finish line. 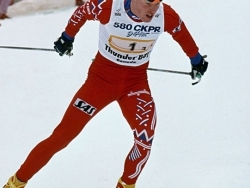 Bjorn Daehlie, who went on to win the most Olympic medals of any male athlete, won two Gold medal at the 1994 World Cup in Thunder Bay. 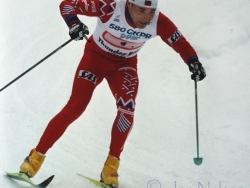 A Norwegian skier races in the Men's Relay. 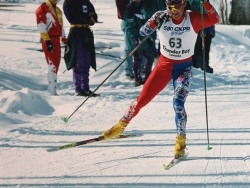 A Finnish skier heads toward the finishing line at Big Thunder.